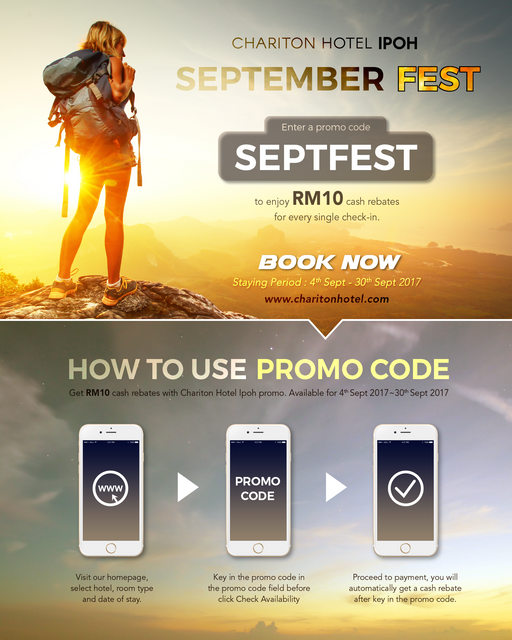 Chariton Hotel Ipoh has launched a super deal to all valued guests in coming September.Just take a few simple steps and enter the specified promo code "SEPTFEST" to get a RM10 cash rebate for every single check-in. Booking via www.charitonhotel.com/hotels/ipoh. Don't forget to key in the promo code while doing your booking.